Join us at our new Sprout events! Join us in creating vibrant communities where more than 581,000 people call home. Click to learn more about our campaign! AmeriCorps LEAP Initiative is a life changing experience! Make a difference in the life of a child while earning funds for college loan debt or tuition needs! Support the place you call home. Your gift makes a difference in southern Minnesota. Helping business dreams become realities. We offer loans and one-on-one assistance to make your business dreams become a reality. Southern Minnesota Initiative Foundation is a regional development and philanthropic organization that fosters economic and community vitality in 20 counties of southern Minnesota through a culture of collaboration and partnership. We envision a prosperous and growing region with vibrant communities, innovative and successful economies, and engaged and valued citizens. See our work in action. Our programming supports regional vitality by supporting the people who are making a difference: child care professionals, business owners and community leaders. Learn more. SMIF sponsors and hosts a variety of events around the region for early childhood professionals, entrepreneurs and community foundations. See what's coming up on our calendar. The people and communities of southern Minnesota are what drive our work. We love to capture the faces and places that inspire us. See our investments at work. 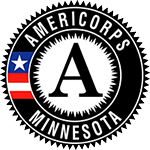 Member Application | Position Description l Watch: What is AmeriCorps?